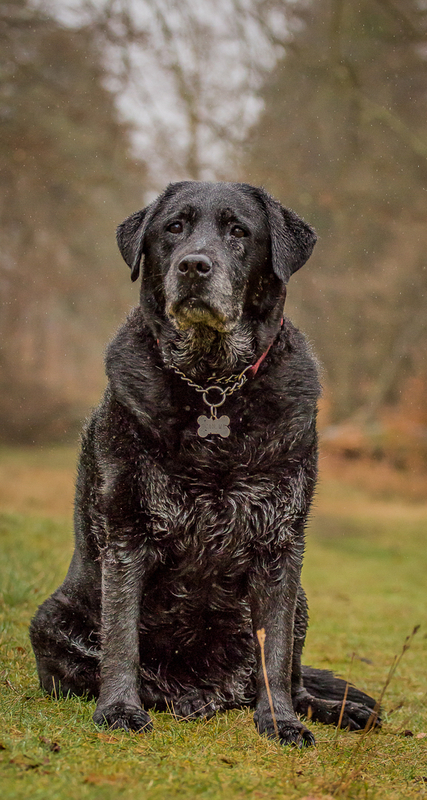 Tillie – a 14 and a half year old Black Labrador, who basically lives to (and in no particular order) …………….. eat, get fussed, eat, wag her tail, eat, raid the sock draw to carry something around, eat, sniff everything on a walk for at least 2 minutes before moving on, eat & sleep. Daisy, a 10 year old rescue long haired, female German Shepherd who loves nothing more than to snuggle, eat, get kisses on the nose, make hilarious noises when she thinks she should be involved with games, but can’t be bothered to get up, eat, lie on your feet, give kisses to her Dad and protect the garden from vicious and ghastly pigeons. Dibbs, a six, nearly seven year old rescue male semi-long German Shepherd who never thankfully, seems to grow up. 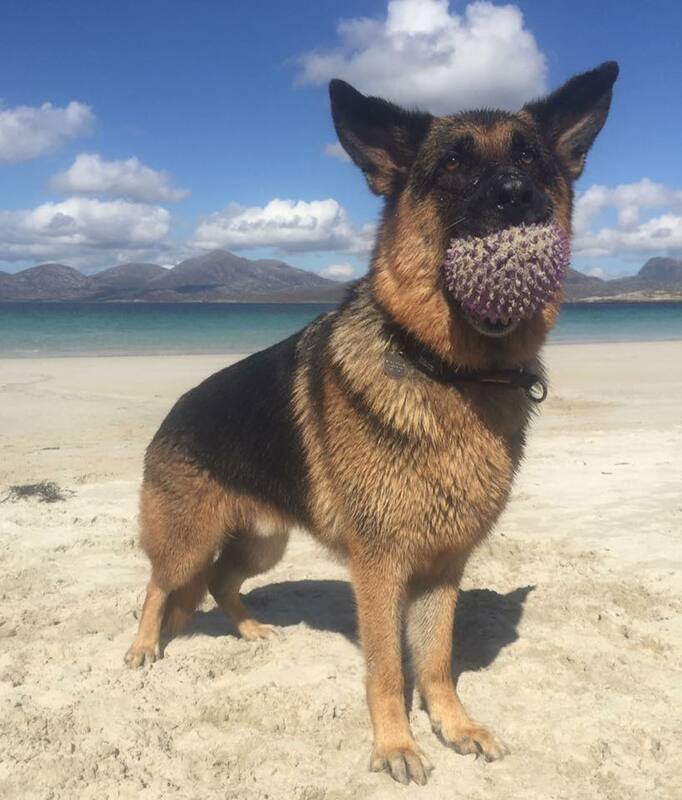 He loves nothing more than playing with balls, staring at you willing you to play with the ball he doesn’t want to give you, carry his food bowl around – if he can’t find that, a shoe, sock, or other essential item of clothing that finds itself out in the garden, often in the rain.